This post is sponsored by Bolhsen Group. All opinions are my own. Keep your meal plans fresh by checking out a new cuisine. Nasreen Zereshki's new cookbook, "Recipes from My Persian Kitchen" is filled with simple home cooking recipes from her childhood. 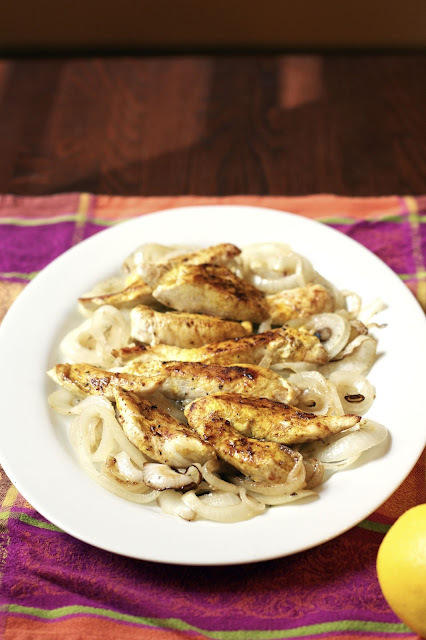 We all cook tons of chicken tenders for our kids, but have you ever made them with saffron? Neither had I, until I tried Nasreen's recipe. My family loved this chicken! 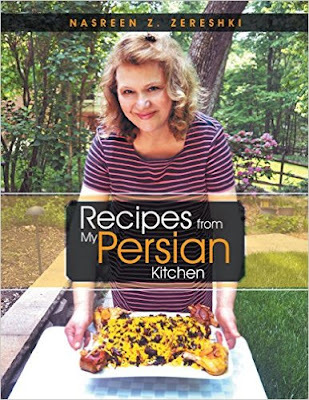 "Recipes from My Persian Kitchen" is just filled with chicken, beef, fish and vegetarian recipes that have a simple, homey feel to them. They are not too exotic in any way for a home cook. The seasoning is just different enough to make your dinner a little more interesting, and all it will take is you investing in a few new spices. 1. Place the onion and garlic in large frying pan. 2. Clean the chicken, cutting away excess skin and fat. Rinse and pat dry. Season with salt, pepper, paprika, and turmeric. Place on top of the onion and garlic. 3. Pour lemon juice and the dissolved saffron over the chicken. Dot with butter. 4. Cover and cook on medium-low heat, 15 minutes per side. 5. 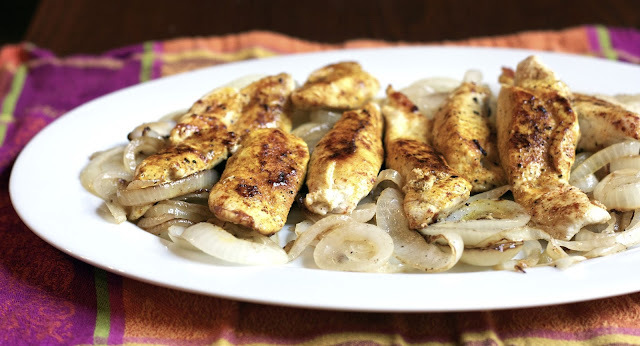 Serve with side dishes of potatoes, rice, or vegetables. Nush-e jan! 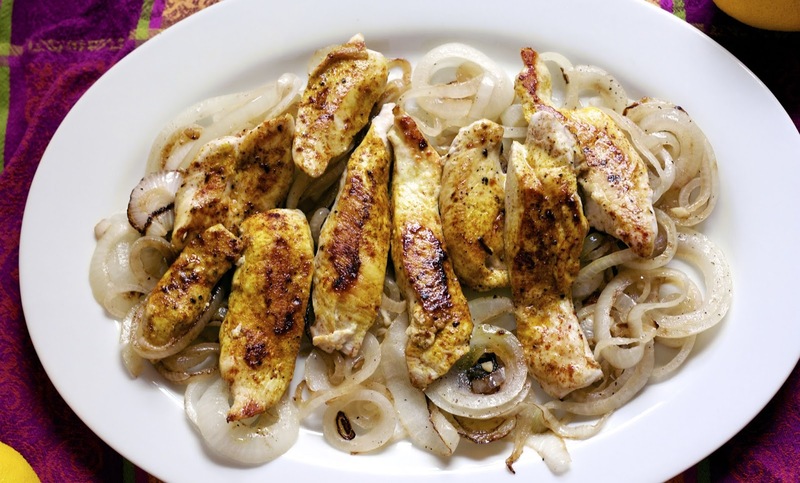 Tip: For more taste a tenderness, sprinkle the chicken on all sides with salt and pepper and then refrigerate for 30 minutes before cooking. Looks delicious thanks for sharing with Hearth and soul blog hop, pinning and tweeting. I'll be featuring your post at Hearth and Soul this week, Diane! Love this recipe and it's really lovely to learn more about "Recipes from My Persian Kitchen" - I have seen it online and wondered what it was like. I think I will be adding it to my collection based on your recommendation. Thank you so much for being a part of the Hearth and Soul Hop.